Comments: Jane Shiells (Nee: ) | St-Laurent QC Canada | 1851-1900 | Comments: Jane Shiells is standing (back row) on the left. 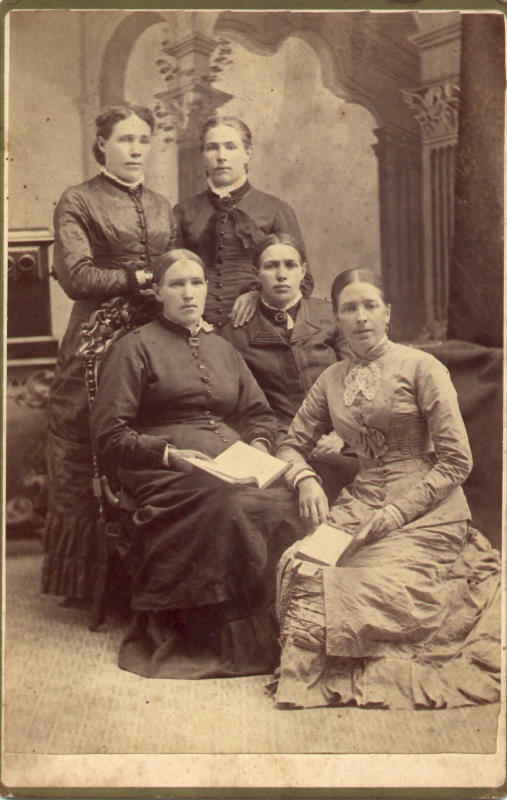 The other sisters in the photo are Ann, Elizabeth, Euphemia & Janet "Jessie" Shiells. *Jane Shiells was born in 1838 in St-Laurent (near Montreal), Quebec to James Shiells & Agnes Nancy Boa. She married William Connibear and they moved to Ontario.